Casa Luna is one of those wonderful beach homes build back when saving space for lavish gardens and creating the feeling of tropical living were all important! The property measures 1,004 m2 and has plenty of room for a pool or perhaps an additional rental income producing casita if one desires! The main home offers two bedroom, two bathrooms and a loft. The existing casita is connected to the main home by way of a lock-off hallway. The one bedroom one bathroom (plus a loft) casita offers rental income possibilities the current owners are just now realizing. Much more could be done to generate higher levels of rental income for investment minded owners. The garage area offers plenty of room for your surfboards. 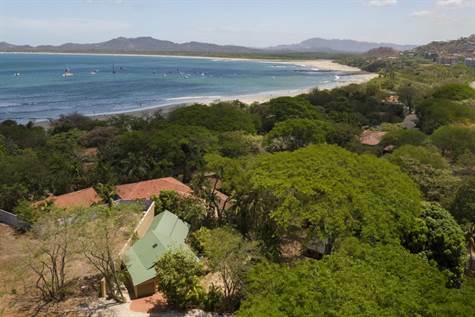 Within a few hundred yards you will be walking on the sand towards the surf break or enjoying a breathtaking sunset on the sweetest part of Tamarindo Beach! The Playa Tamarindo location and close proximity to the beach make for the perfect combination of casual beach community living. Come for a look and experience the charm of Casa Luna.